Our email response parsing tool has been improved to capture email responses back into the platform as accurate as possible, by excluding any previous responses including email signatures. We have updated the Patrol report to categorize patrolled data by location(s) and/or patrolling user(s). Each category section will display the total number of tapped NFC fields and time on-site. 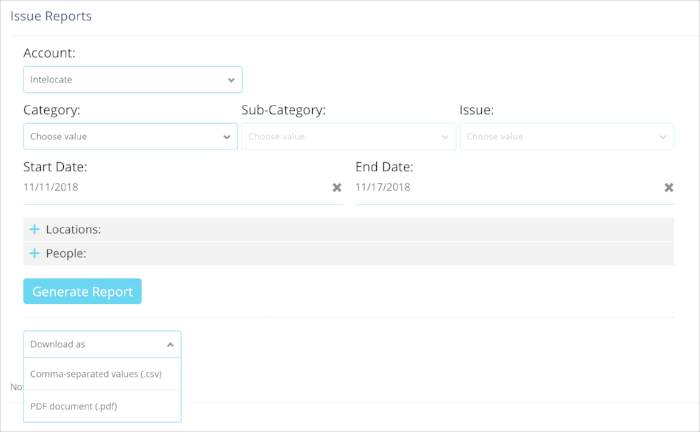 We have included Start and End Date fields on the Issues report. Inactive users will no longer be assigned to a task when the task is assigned to a location that’s associated to the said inactive users. In both online and offline modes, users will now only be able to see and select locations that they are associated to on both Check In and Log Issue pages. Currently, signatures on a submitted form do not appear on the mobile application, but they do display on the desktop browser. This UI bug will be fixed in the next release.